The Mens Scandic Jacket from Jack Wolfskin is The can-do Jacket for urban adventures, skiIng or hiking In the snowy countryside. 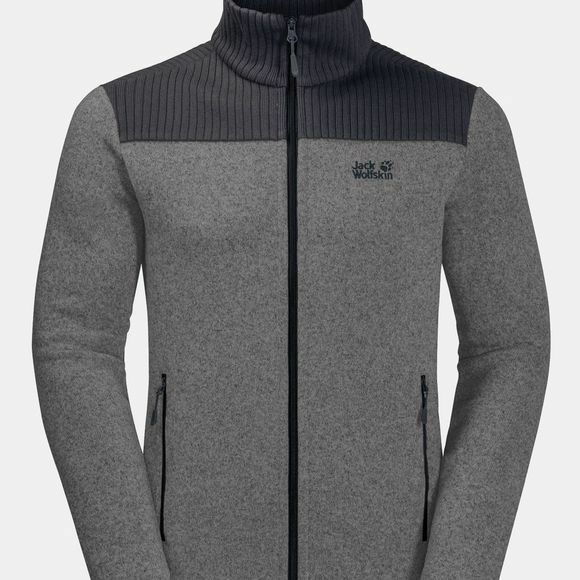 The Scandic Jacket is made of thick Fleece and will keep you warm on the coldest of days.The exterior of the Jacket has a marled-look Knitted pattern. The reverse side is extra soft and gives superb next-to-skIn comfort. The High collar protects your neck from the Chilly Winter Wind.